Need Residential Carpet cleaning in Pakenham? We all love the feeling of a perfectly clean and dry carpet underfoot, but unfortunately, while the nature of a carpet is to add warmth and softness to a room, it’s also a magnet for debris that causes discolouration and may even pose a risk to your health. As the professional carpet cleaners in Pakenham, we offer everything from one-of treatments and whole-home carpet cleaning packages that tackle the spectrum of carpet and rug cleaning struggles in one simple visit. 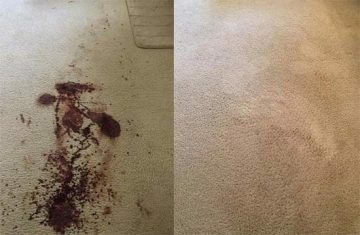 Need Carpet Sanitisation Or Spot Cleaning? Carpet Sanitisation and Your Pets. We all love a new puppy- but the dislike of trying to achieve carpet deodorisation after accidents occur is equally true. It is definitely challenging to remove dog urine smell from carpets- and one thing to remember when it comes to carpet sanitisation after a pet accident is that dogs like to go in the same spot- if any trace of odour is left post-accident, that’s where they think the permanent toilet is. Only total removal of that odour can break the habit! 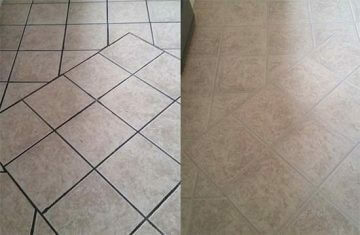 Our spot cleaning equipment provides the ideal solution. Our pets play an increasingly prominent role in our lives, which means they’re more commonly found in their favourite spots, right up on the sofa and at the foot of our beds. While pet protection throws are a great idea, it must be said that no couch throw will be able to prevent pet odour. Pet hairs work their way into fabrics, upholstery mattresses and carpets easily, and can’t be removed with a traditional vacuuming. But they’re no match for professional carpet team cleaning! Our gold standard tech enables us to reach and treat stains and odours with incredible results, and the finished product is safe and nontoxic, leaving your pets as happy as ever. Carpet Sanitisation Keeps Families Healthy. Spotted mould or mildew in your carpets or upholstery? 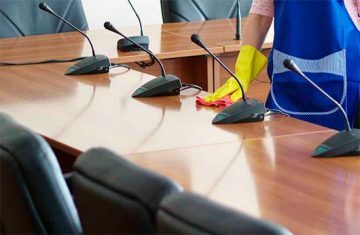 It’s a surprisingly common problem, and one that requires immediate professional intervention that regular carpet couch and sofa cleaning wont resolve. A whole host of respiratory illnesses can be both brought on and exacerbated by the presence of mould and mildew. The longer you leave it, the worse it gets. The team at Melbourne Carpet and Tile Cleaning are proud to stand behind an all-natural, non-toxic, plant derived product that removes mould from carpets and prevents allergenic particles from making a debilitating impact on those with allergy sensitivities. State of the Art Tech in Your Local Carpet Cleaning Service. Standard carpet shampooing can make mildew and mould worse- it’s essential to address this hazard with professional carpet steam cleaning. Our gold standard truckmount equipment reaches temperatures of up to 240 degrees Fahrenheit, making it ideal for extinguishing mould and mildew, along with dust mites and other allergenic properties. Looking For Carpet Dry Cleaning And Upholstery Cleaning In Pakenham Now? We’re the leading team of hot water extraction experts in Pakenham Upper, and we may be able to arrange a same day carpet cleaning service should you require it immediately. For more information about availability and the product and technology we use to achieve our results, contact the team at Melbourne Carpet and Tile Cleaning for further information today.